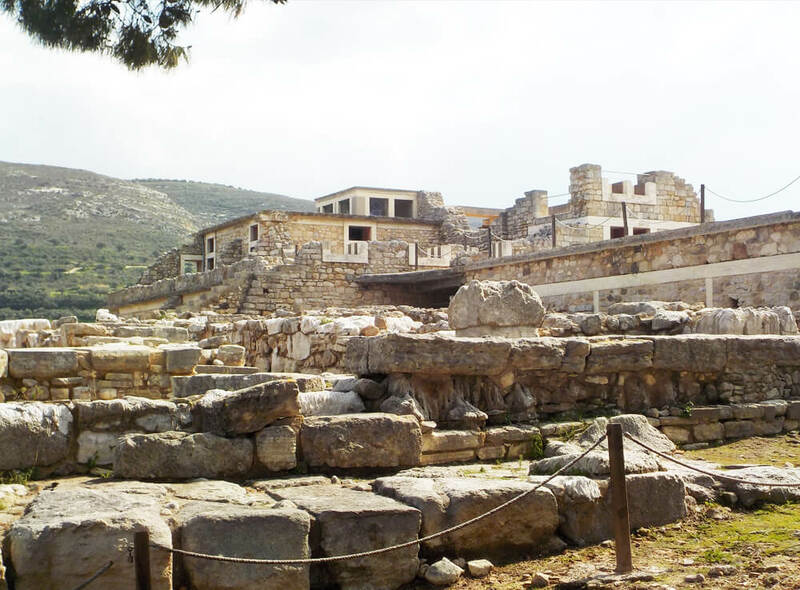 This excursion in Vathypetro and Archanes continues just after Knossos and the visit of the palace of king Minos towards the hills nearby. 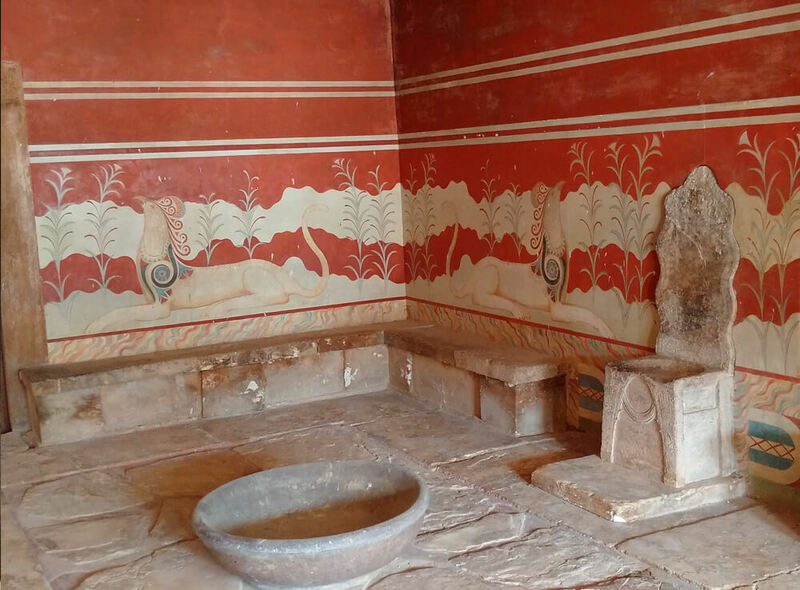 This excursion is ideal for the guests that would like to spend time near Heraklion (distance of Knossos palace is 7 km from the city, Archanes village 15 km). The large village is also a significant agricultural center and has been restored with the help of European Union funds, as well as private initiative. A remarkable job has been done, giving the chance to the guests to enjoy the local atmosphere. It is definitely a model for such projects to preserve the local architecture. Archanes has won European awards – 2nd best restored village in Europe and 1st in long term development prospects. Streets have been recently paved with local stone; a walk around the back streets is a relaxing experience.. 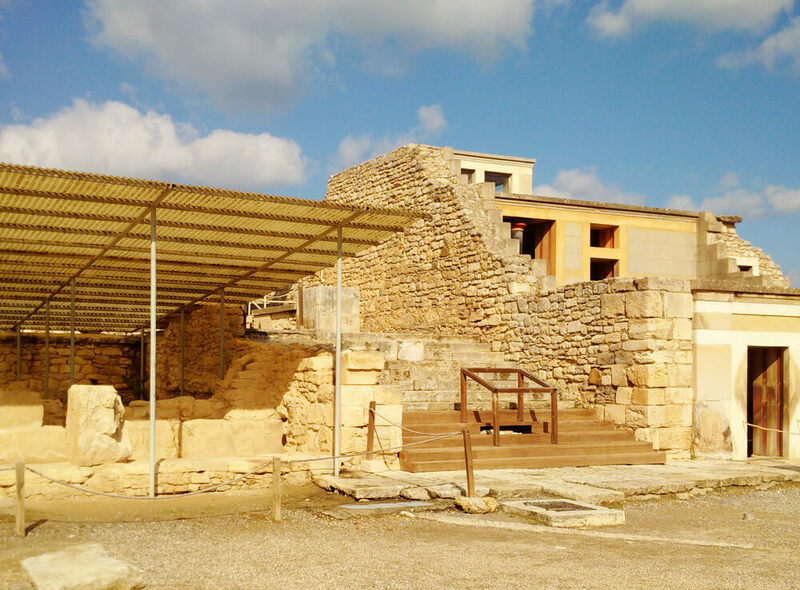 There are four archaeological sites you can include in your private tour, as well – one in the village (a fenced excavation is consider to be a little palace or else known the mansion of a local ruler) and three close by, at Anemospilia the peak sanctuary and Fourni (on the slopes of the hill nearby – a cemetery used from by Minoans and Myceneans ). A lot of very significant finds of the minoan era came to light during the excavations at Archanes and the surrounding areas. 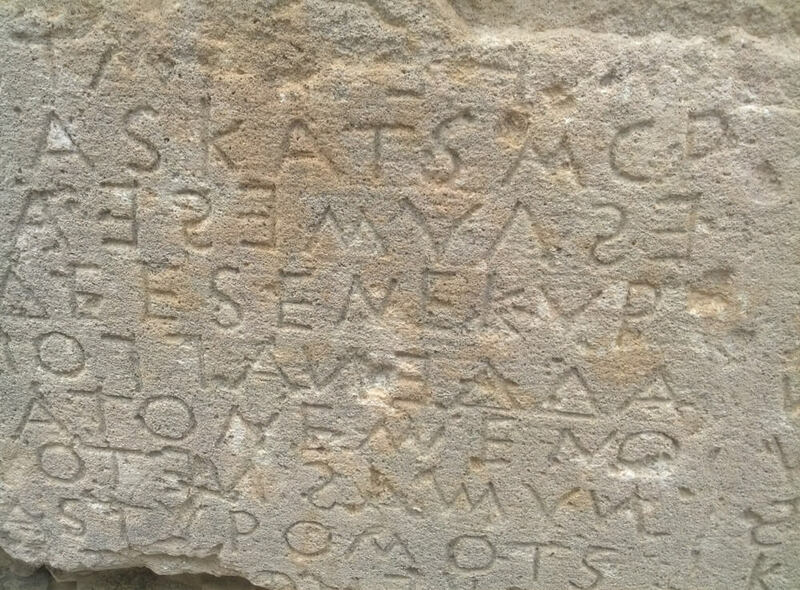 Archanes has a small but excellent Archaeological Museum (8.30 – 14.30, Closed Tuesday, Free admission) which displays all these finds from the town and surrounding sites. It is worth to visit it. 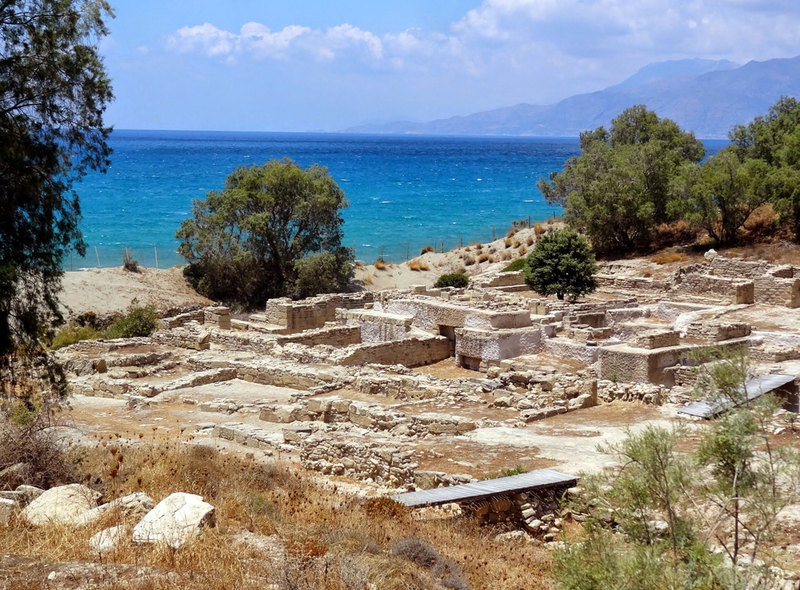 Vathypetro, part of this tour program, lies few kilometres south of Archanes at the foot of the southern end of Mount Iuktas in Central Crete and was probably on the Minoan route from Knossos to the Messara plain in the south of the island. The site was excavated by S. Marinatos from 1949-53 and again in 1955-6. Since he intended to locate a local museum on the site the remains were reconstructed and modified, making it difficult for archaeologists to piece together the original structure of the buildings on the site. The Vathypetro complex was constructed around 1580 BCE at the beginning of the Late Minoan IA period and badly damaged around 1550 BCE, probably by an earthquake. The south sector of the building, which includes a wine press, was rebuilt as a farmhouse and industrial centre after the 1550 BCE destruction and was finally destroyed around 1470 BCE. The Vathypetro complex is not an isolated, independent structure as it forms part of a small settlement stretching over three hills. Unfortunately the cultivation has destroyed the remains surrounding the site. The site is open all year round and entrance is free. For visitors to Archanes it takes 5min drive (5 km) to see the indoor wine press and of course the amazing views of the Iuktas Mountain and the view to the south. If you choose to continue your private tour, and not to return to Heraklion you will find the Monastery of Panosifis nearby. The road continues further south to Pyrgos village and Messara valley. Another site you can chose to visit on your tour is Anemospilia, on the hill Iuktas, not far from Knossos and modern city of Heraklion. 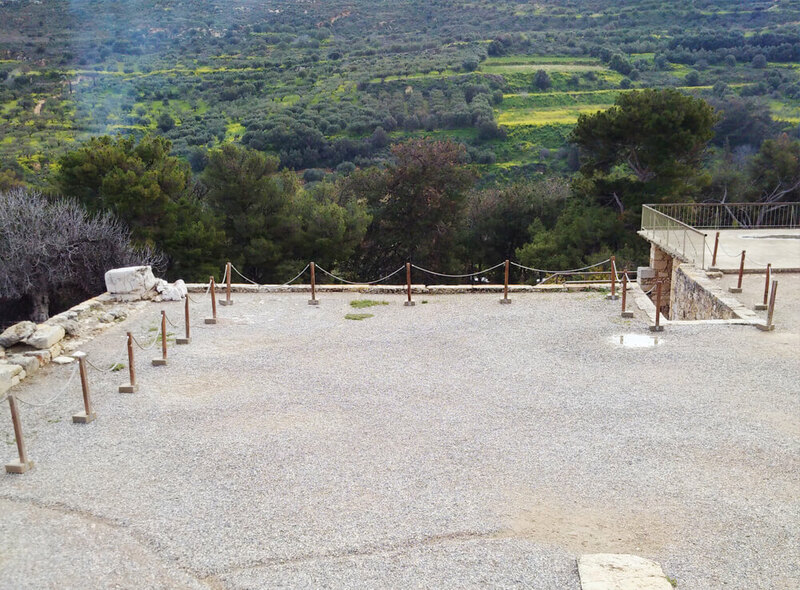 The site was excavated by J. Sakellarakis in 1979, and given its small size, turned out to be one of the most controversial excavations to have taken place in Crete. The building is unusual for a Minoan site in that it is more symmetrical and less labyrinthine than most Minoan remains. The simple design consists of three rectangular rooms in a row, and a corridor or antechamber running the length of the three rooms to the north of the building. There is no other example of such a building from the Minoan-Mycenean periods. The ‘temple’ was destroyed early in the 17th century BCE. It was almost certainly destroyed by earthquake, following which the lamps placed inside the shrine burnt whatever was flammable. Among the finds were vases, pithoi (juge jars), mortars and pestles and tripod cooking pots. The pithoi would have stored various foodstuffs and woven cloth. TThe site is now well fenced-in and not generally open to the public. However, a good view of the site can be had from the south fence and the views from the road of the north coast of Crete are spectacular. For the archaeologists or schools and colleges from abroad a permit from the local archaeological service can be issued upon request.